Many factors can have a serious impact on the cholesterol levels in the body. To control these levels, having a proper and well-maintained diet is the most important thing on the priority list. Cholesterol and the saturated fat available in the food you consume increases the cholesterol levels in your blood. The prime factor is the saturated fat; however, you cannot undermine the importance of the cholesterol contents available in your food. You must consume foods that contain a reduced amount of saturated fat and cholesterol to decrease the blood cholesterol level. You can also refer a cholesterol level chart to keep track of your blood cholesterol. In a cholesterol level chart, you would find the various levels which would help you decide in which section the cholesterol level falls. The following points are essential as they contribute to knowing the factors that affect the cholesterol levels in the body. When your blood cholesterol levels rise, you become very susceptible to heart diseases. As per the cholesterol level chart, weight is an important risk factor for heart ailments. When one’s weight increases, the cholesterol level also increases. However, when one starts to lose weight, they can reduce the level of LDL cholesterol. It also helps reduce the triglyceride levels and optimize the HDL cholesterol levels. Physical activity is an important aspect that you need to consider. If you are not physically active, you are putting yourself at risk for heart diseases. Regular physical activity not only reduces the LDL or bad cholesterol levels but also increases the HDL or good cholesterol levels. When you are physically active, achieving the desired weight loss goal becomes easier. Focusing on being physically active at least for 30 minutes a day will help you see LDL levels decline on the cholesterol level chart. Your age and gender have some influence in determining the cholesterol levels in the body. Cholesterol levels go up as one ages. Women tend to have reduced levels of cholesterol prior to menopause as compared to men of the same age. Once women pass the age of menopause, the LDL levels start to increase. Hereditary factors also play an important role because the genes decide the amount of cholesterol your body makes to a certain extent. 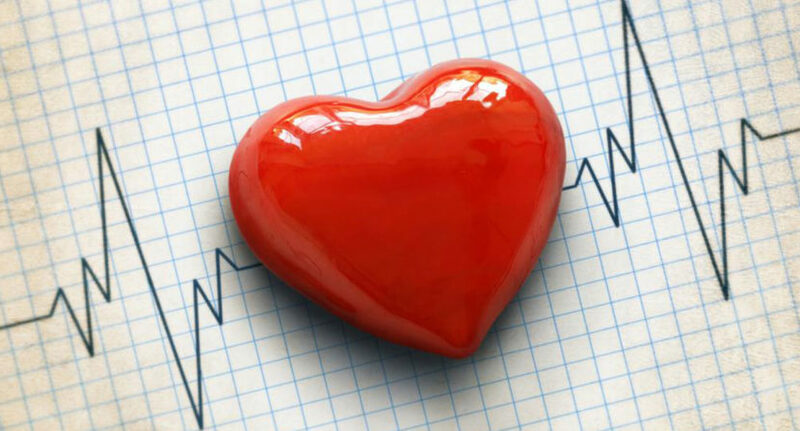 It has been observed that elated blood cholesterol levels run in families. TLC refers to therapeutic lifestyle changes. It can be described as a low cholesterol and low-saturated fat eating plan. According to TLC, you need to consume less than 7% of calories from the saturated fat; the daily quantity of the dietary cholesterol should be below 200 mg. The TLC diet plan promotes the consumption of a wide range of tasty and nutritious foods including a moderate quantity of lean meats, skinless poultry, low-fat dairy products, fish, whole grains, vegetables, and fruits. It defines the adequate calorie intake to sustain a healthy weight. If you can manage to lower your LDL levels by limiting cholesterol and saturated fat consumption, you can increase the quantity of soluble fiber in your diet. It is a good option to add specific food products that comprise naturally occurring ingredients found in certain plants to your TLC diet to strengthen its ability to lower LDL. Apart from following the TLC diet, one has to focus on weight management. If overweight, one should make efforts to lose weight to stabilize LDL levels. Men above a 40-inch waistline and women above a 35-inch waistline can be considered as overweight. If overweight, one would need to exercise in order to reduce their LDL levels and maintain a desirable level as per the cholesterol level chart. Although some people depend on medications to reduce their cholesterol levels; they have to make the necessary lifestyle changes to decrease the risk of heart diseases. Some of the most common medicines that can be used to reduce cholesterol include Statins, cholesterol absorption inhibitors, bile acid sequestrants, vitamins, and supplements. These types of medications use different ways to control the cholesterol levels in your body. For example, Statins prevents the liver from creating cholesterol, while bile acid sequestrants reduce the quantity of fat absorbed from the food. Cholesterol absorption inhibitors reduce triglycerides and also reduce the quantity of cholesterol absorbed from the food. A cholesterol level chart will offer useful information regarding the levels. One can know what desirable levels needed with the help of such a chart. A cholesterol level chart displays desirable, borderline high, and high cholesterol levels which will help you know what type one falls in and what are the measures one can take to curb it. Some of the best cholesterol level charts also show the details of total cholesterol levels, LDL cholesterol levels, HDL cholesterol levels, and triglycerides. The bottom line is that you need to follow a healthy lifestyle to enjoy optimal resistance against cholesterol-related health problems and following a cholesterol level chart will help you effectively do this.